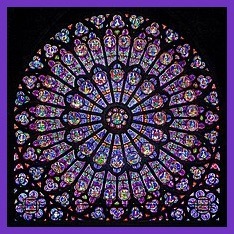 Notre Dame de Paris sits on a very powerful Goddess Vortex. In Paris, as has been the case throughout planet earth/Mother Gaia for thousands of years, the patriarchy of modern religions has built their structures and/or appropriated existing structures on very powerful sacred ley-lines and vortexes, replacing the pre/existing Goddess Temples. There is much to the story of Paris and its goddess energy. The very name “Paris” is from the words “Par” “Isis”, in reference to Goddess Isis — Paris is the city of Goddess Isis. The eternal cycle of birth, destruction, and re-birth will continue with the resurrection of Our Lady of Paris as we anchor into the new energies. We will anchor in the New Age of Gaia and eventually balance all that has been so distorted for centuries of seemingly endless revolutions, wars, and inequality for/in suppression of goddess energy. The spire and the dome are symbols and conductors of masculine (the spire) and feminine (the dome) energy respectively. The spire has toppled. A balance will rise from the ashes. Much Love and peace as this process continues. At the bottom of this post are links to a few articles for contemplation. As usual, I remind you to pay attention to the Yellow Vest Movement in France as this is another facet of the rise of new energy. This movement has persisted now for several months and has been met with much resistance from the French government and other European “powers that were” who are currently just “hanging-on” as they resist the movement toward freedom and balance for all people across the globe. This is about you too! This entry was posted in Ascension, Gaia, goddess, Golden Age, New Earth, Planet Earth, spiritual, the Golden Age, women, Writings, yoga and tagged Ascension, Awakening, Easter, Gaia, goddess, Golden Age, Notre Dame de Paris, Our Lady of Paris, resurrection. Bookmark the permalink.